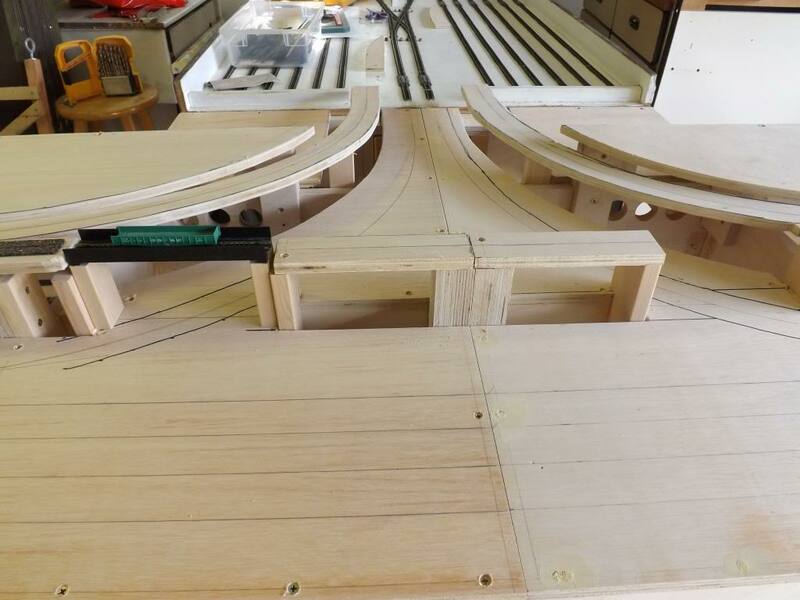 Affectionately known by club members as the "Ballard Why", the wye is the interface from Hazelton Yard to the layout modules. After twenty years of faithful service, it is being replaced. Some design changes have been incorporated into the new wye, notably, the mountain line access from the yard no longer has a 3 per cent grade and the wye mainline crossover switches have been replaced by double slip switches. The project is scheduled for completion in December 2014. Pictures of the original wye and its construction can be viewed by clicking Ballard Wye menu option to the left. Design of the wye replacement was a collaborative effort between members and disciplines. Members had multiple opportunities to share ideas both in person and by email. Construction, electrical and scenery methods and issues were considered. The final product is pictured here. Communication continues as new challenges are discovered. Thanks Greg Okrasinski for coordinating the design phase. A view showing framing of the right hand half of the wye. Legs are removable for easy storage. The left hand half is a mirror image. A view showing framing of the right hand half of the wye with sheeting installed. Risers are used to provide mountain line elevation. Track center lines are visible. 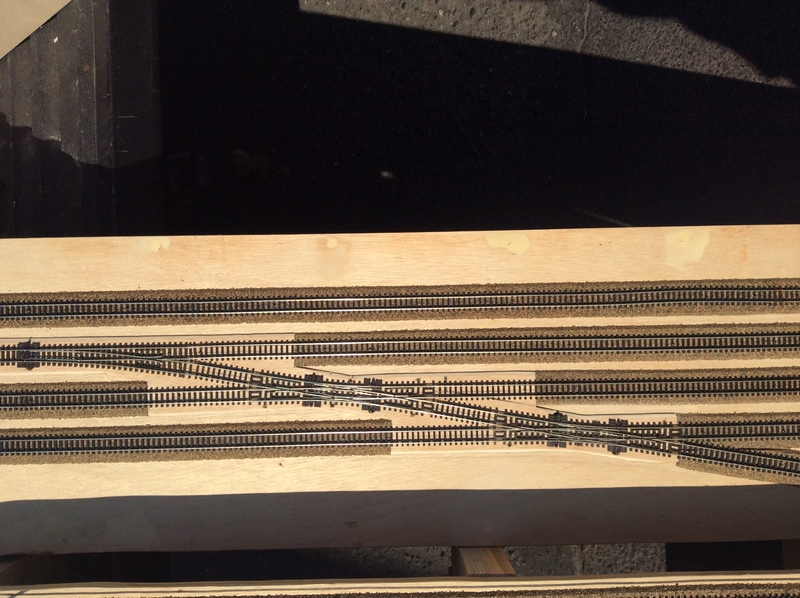 Two photos show detail of how trains will enter the modules from the yard. The mountain line enters via a ramp. The right hand photo shows the yard modification. Mountain line bridges cross yard entrance tracks to and from the three lower level main line tracks. 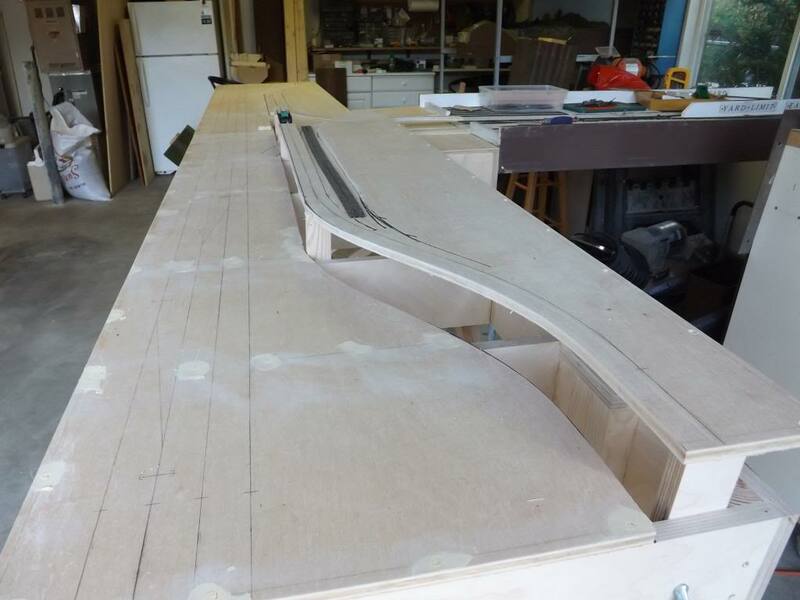 The left photo shows the roadbed installed. Door skin is used under double slip switches to provide stability through the entire "plant." Both halves of the wye are shown in this photo. The right photo shows the clean lines of the double slip switch crossovers. Nice!! 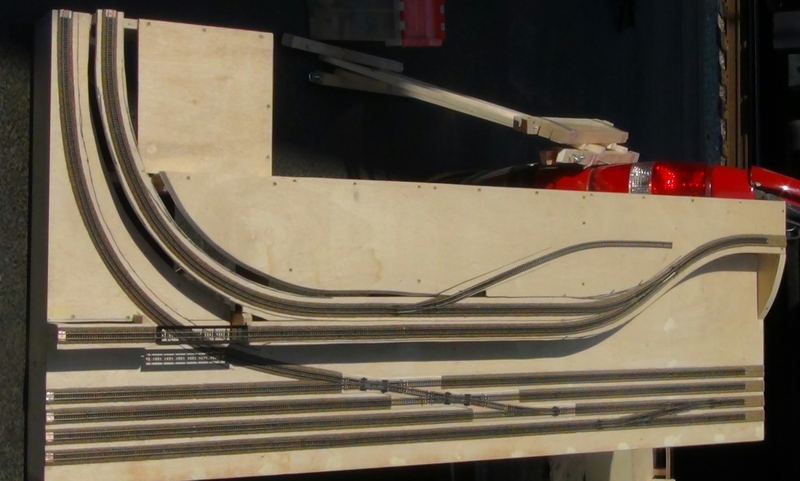 The right hand module is pictured here with trackwork complete. Great carpentry and track laying provided by Greg Okrasinski. The wye modules have been delivered to the electrical team. 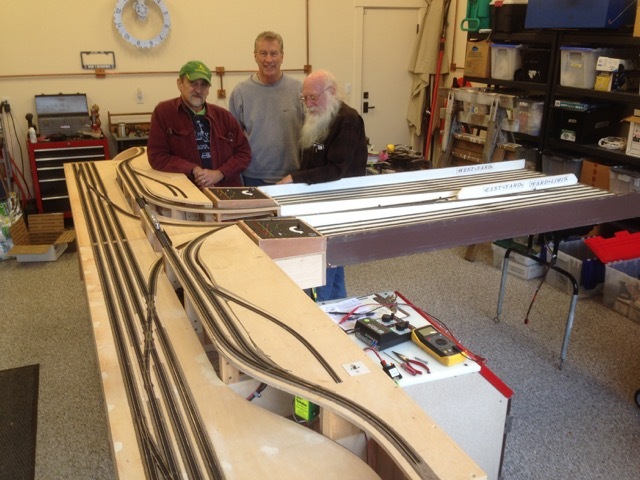 Complex and great wiring job provided by John Benny, Al Turnbull, Tom Hart and Chris Pugh. 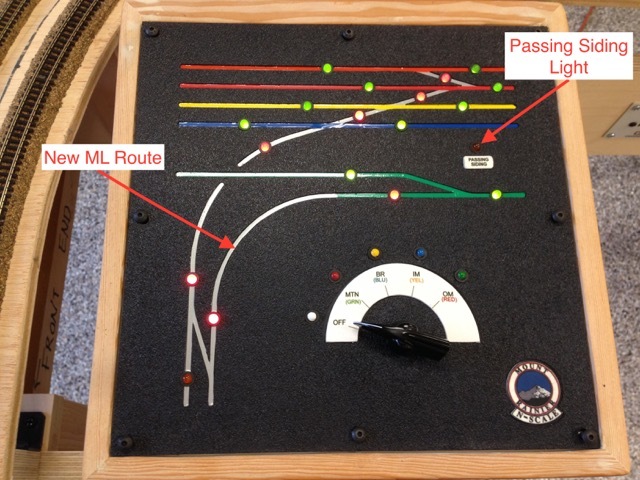 Control Panel with Route Lights showing. Note the new Mountain Line route to the Yard. Also note the Passing Siding / Orange Line indicator; this will be lit when a train driver uses the local switch to access the passing siding. The two halves of the wye and the yard throat together. Wiring phase completed. The modules are now off to the scenery department. It is our goal to use these new modules at the Washington State History Museum show which opens on December 21 through New Year's Day.